I have never met anyone who lights up a room quite like Laura Plumb! I first met Laura at her home last October when I went to visit her for a Jyotish (vedic astrology) Reading. I was instantly drawn to her kindness, warmth, sensitivity, & vast knowledge of all things Ayurveda. Not to mention…she is absolutely RADIANT! She exudes beauty, peace, compassion & the intelligence of a mighty modern-day sage. I felt an instant connection to her then, but little did I know at the time that our initial meeting would change the course of my life. 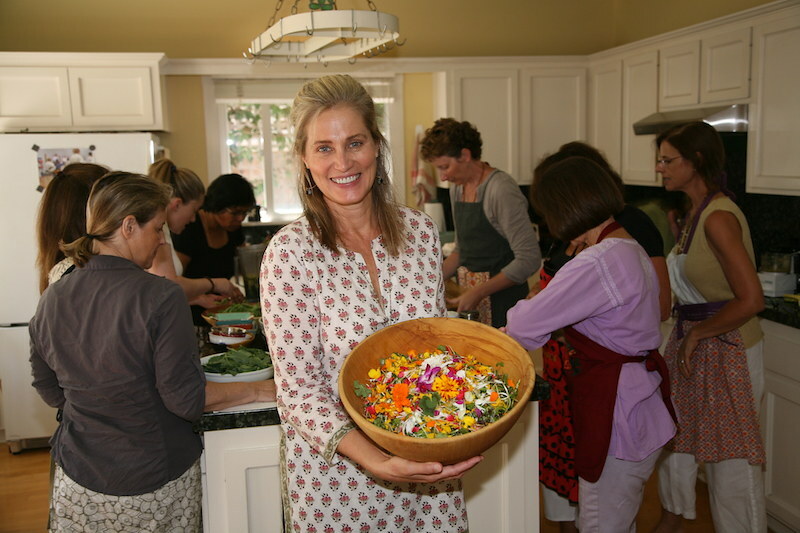 That first meeting & reading sparked what has become quite a (healthy) obsession with Laura, Ayurveda, & the discovery of the Deep Yoga School of Healing Arts & VedaWise – which she founded with her husband Bhava Ram. I just completed Bhava’s annual New Years’ “Journey into Yoga” & it was truly enlightening, inspirational, & transformational. I took it both for the personal experience, & also to see if I connected to their brand of “Deep Yoga.” Lately, I’ve been feeling the call to delve deeper into my own yoga practice & perhaps become a teacher. I’ve also been very interested in the study of Ayurveda, which they weave into their teachings & trainings. After day 1 of the “Journey” I knew I was on the right path. I think I’ve finally found my yoga “niche.” But I’ll be sharing much more on that later! I reached out to Laura when I decided to launch “Wellness Wednesdays” & she eagerly replied that she would love to participate. Laura is a very busy lady, so rather than have her write up a “guest post,” she has kindly allowed me to share a few seasonal tips & recipes from her beautiful blog “Food: A Love Story.” This past weekend, I was able to see Laura truly shine in her teaching element, when she visited our last gathering to give us a brief overview of Ayurveda. I am so honored to feature Laura today, & share some of her deep wisdom with all of you! 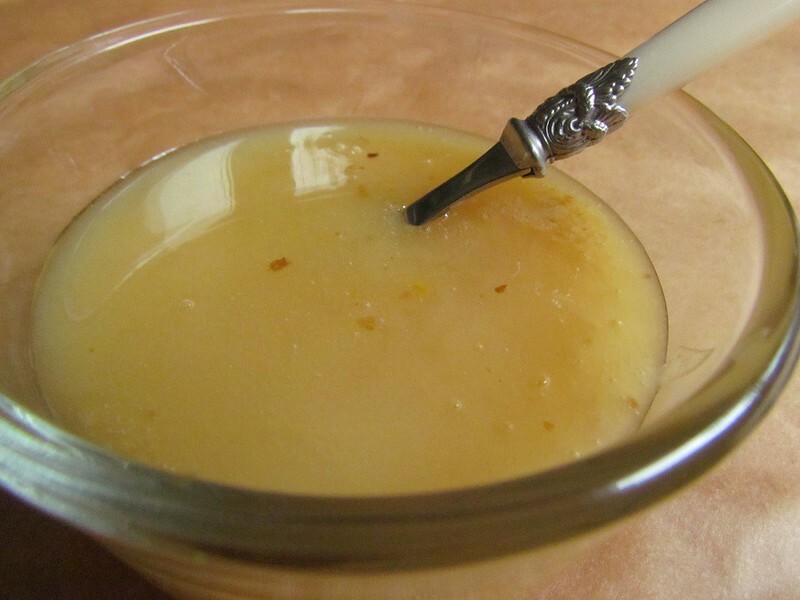 ***Please note that, while Ayurveda promotes a primarily plant-based diet, honey & ghee (clarified butter) are widely used in Ayurvedic cooking for their medicinal & therapeutic benefits. I have been consuming small amounts of raw local honey mixed with cinnamon, or in lemon & ginger tea as a cold remedy, & for that reason, I’m now referring to myself as “strict vegetarian.” I am still debating on whether I want to introduce local organic ghee into my diet, so for now, I am substituting coconut oil with Ayurvedic spices in my cooking. The ancient science of Ayurveda is really the art of living wisely, as it empowers people to make choices that nurture & sustain balance, wellness, vitality, self-confidence, & full self-expression. Ayurveda is a nature-based approach to healing that recognizes the unique difference of every individual ~ &, because every one of us is unique, every illness is unique; so, no disease, even if it goes by the same name, can be alike. Therefore, in Ayurveda, we seek to treat not the disease, nor the symptoms of the disease, but the person, the whole person, by attempting to dissolve the underlying cause of suffering & re-establish the fundamental state of wellbeing.While it is a very personalized system of medicine, there are simple, intuitive & universal guidelines for healthy living. 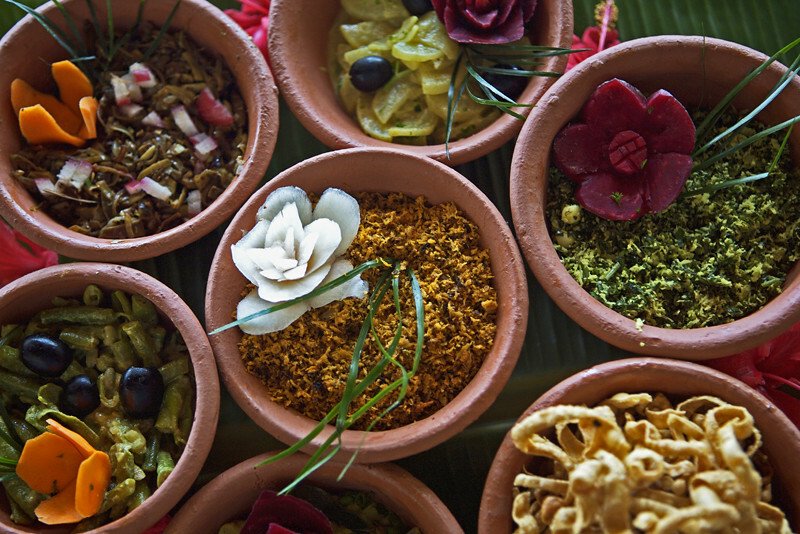 The first principle behind Ayurveda, as it relates to food, is to eat nature. That may sound simple, but walk into an ordinary grocery store & you will be hard-pressed to find real food – i.e., food that is grown by the forces of sun, soil, wind & water. So, start by eating nature’s produce, as fresh & as close to the source as possible so that it retains its living intelligence & energy, what we call Prana or life force. Look to “eat nature” then as close to its source as possible. 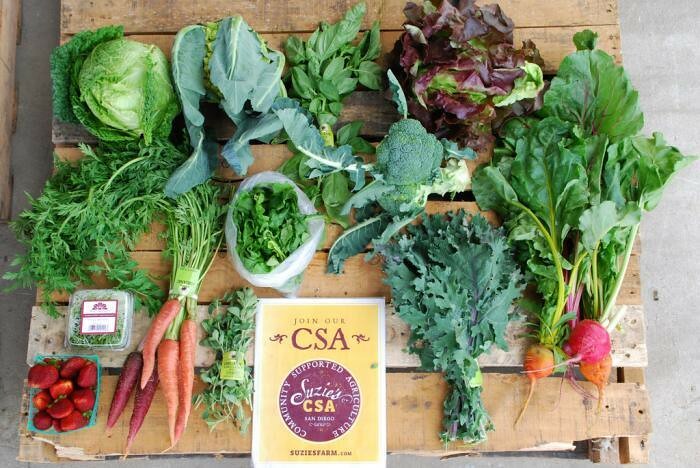 When you eat food that is locally grown, you benefit from the intelligence in nature that sustains seasonal balance. For instance, in Autumn we harvest root vegetables which help build our strength & immunity for winter. In the Spring, bitter & pungent greens sprout so help us detoxify & lighten winter’s load. So the second principle is to eat according to the seasons. A third principle & important general rule it is to maintain a strong Agni. Agni, meaning digestive fire, is the Sanskrit root for our word ignite. For optimal health you have to have optimal fire in the belly. Heavy foods, too much food, cold food, old food, frozen, canned or processed food, even cold water taken with your meal, contribute to reducing the digestive fire. Imagine the digestive system as a large fire. If you add too much wood, say Thanksgiving feast, then you will put the fire out. 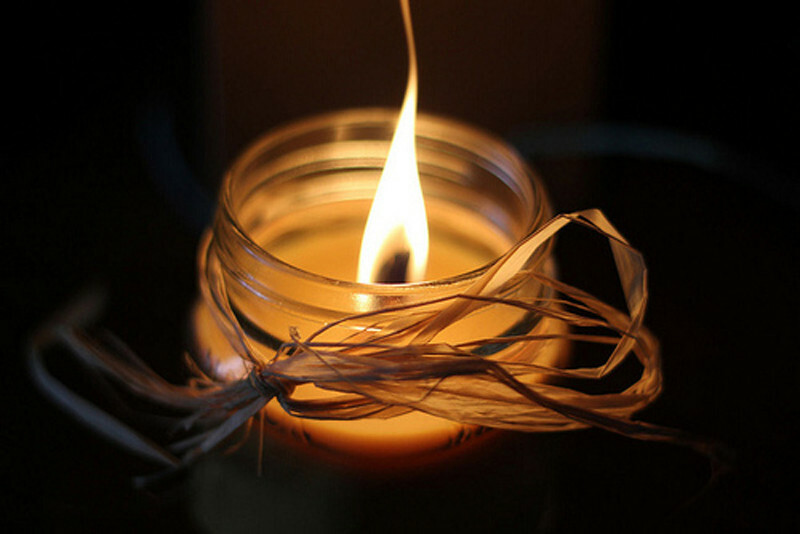 If the wood is too wet, too heavy, or too hard you are likely to extinguish the flame. And if you add artificial materials, as most “food” is these days, you will certainly reduce the flames – or, at least, create a lot of toxic smoke. Agni is the key to Health! If you feel heavy, lethargic, dull-minded, or you are experiencing mood swings, then you may have a low-burning fire that has resulted in a toxic build-up that in turn is making your whole system sluggishness. To strengthen your digestive fire, try fasting to clear any clogging, sticky toxins. You can simply skip dinner one night weekly, or stick to a liquid diet for a few days ~ sipping warm vegetable soups & broths for your three meals not only detoxifies, it fans the abdominal flames. Drinking lemon & ginger tea throughout the day, & always with your meal, will increase the digestive fire & help reduce Ama (toxic build up). Also ~ add ginger to your food when cooking. Try to eat fresh, home-cooked meals as much as possible, & find an Ayurvedic practitioner to teach you how to eat right for your mind-body type, or click here to take the VedaWise Dosha Test. Nature gives us exactly what we need. For this, we bless our food. We give thanks for the nourishment. Let’s remember that food is what we are made of. Your next breakfast, lunch, dinner will soon become an arm, a nerve, a brain cell, or a heart muscle. Choose wisely & give thanks. It is a miracle, & you are a part of that miracle. You are a miracle living in a miraculous world! Ultimately there is no end to this elegant, natural & synergistic method of healing. It continues to unfold inner potential, inner intelligence & inner power that motivates and encourages us to greater and greater self-expression. Through Ayurveda we become the master of our own lives, living its wisdom artfully. Ayurveda recognizes that the key to optimal health is a strong digestive fire. In this coldest & darkest time of the year, we need to be vigilant about strengthening that Agni, our inner fire of digestion & metabolism, to maintain the immune system’s robust vigor. Spicy tea will keep you warm & metabolism strong! To balance the effects of Water/Air this season, we need Fire. Of course, most of us intuitively know this. We light fires at the hearth, stove, oven, furnace. We add blankets, we drink tea, we stay indoors. What may be less obvious for warding off the winter chill is the need to stoke the inner fires of digestion & metabolism. 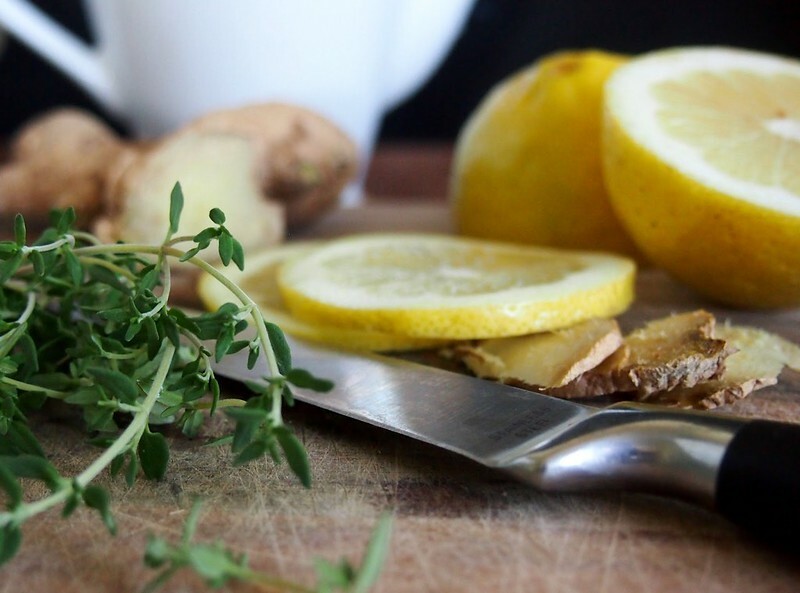 You can kindle the digestive fire by drinking “Lemony Ginger Tonic” (recipe below) daily. It can be taken first thing in the morning to hydrate tissues and stimulate circulation, with meals to increase your digestive power, & throughout the day to keep the fires stoked. Eat warm foods: a cooked breakfast like oatmeal, cooked vegetables with a grain for lunch, or a bowl of beans, & a soup or light stew for dinner. Drink warm water, lemony ginger tonic or spicy tea with your meals. Add warming spices to your food, too. Heating spices include ginger, clove, mustard seed, red cayenne & black pepper. Remember, too, that most spices are lipophilic (dissolve in lipids). This means that sautéing your spices in ghee, coconut or safflower oil before adding the other ingredients will boost their impact & help drive the spice’s natural medicine deeper into your tissues. Winter is also a time to eat a bit lighter to counter the heaviness that the Water element brings. You could regularly skip dinner on the same day once a week, or simply reduce your portions. Look, too, for lots of color as always in your food, especially greens for their detoxifying action. Now that it is winter, nurture yourself by keeping warm both inside & out. Even here in San Diego, where it is sunny & warm much of the year, we still need to boost our inner fires to stay balanced, healthy & well. Put fresh ginger into a blender. Add lemon juice, water, raw honey, cinnamon, turmeric & cayenne powder. Blend thoroughly & pour into glasses. 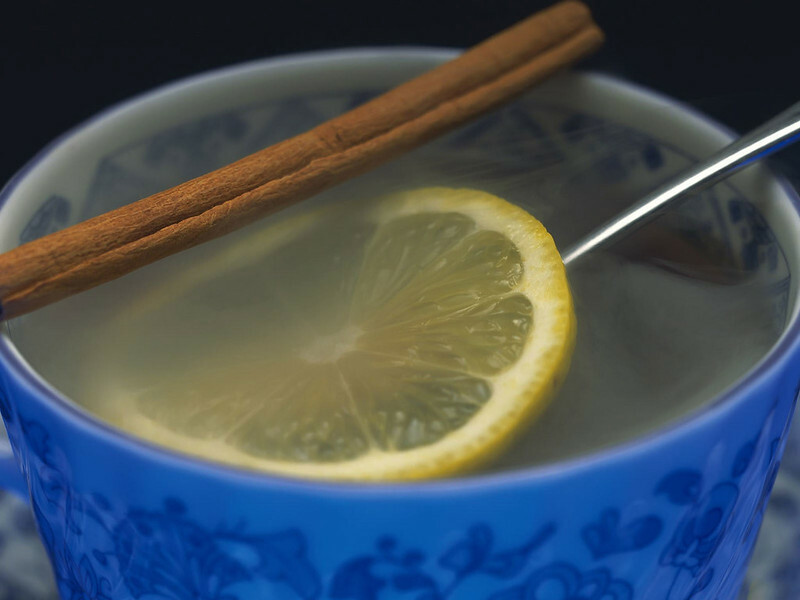 Lemony Ginger Tonic can be heated & served warm, but in that case do not add the honey until you have poured your Tonic into the mug & allowed it to cool to drinking temperature. Honey should not be heated past 120 degrees. This drink can be taken first thing in the morning to kindle the inner fires & hydrate the tissues, with meals to stoke the digestive fires, throughout the day to keep metabolic fires blazing & stay warm, any time to banish the blues when the days are gray, at the onset of a cold to clear the respiratory passage & strengthen the immune system. “Cinnamon” is antibacterial, antimicrobial, anti-clotting, balancing to blood sugar & energizing to the brain. “Turmeric” is an anti-inflammatory, anti-aging, blood & liver cleanser with a history of reducing tumors. “Cayenne,” or “Capsicum,” is a powerful antibacterial, pain-relieving, fat & mucus busting, cholesterol-lowering, blood pressure-regulating, cancer fighter. All three of these everyday spices are amongst the most highly researched herbs in the U.S. today, for their multiple use & safe potency in healing. Drink to your Good Health ~ Santé! If you would like to schedule an appointment to learn what Ayurveda can do for you, please email Laura directly at: lauraplumb@san.rr.com, or visit vedawise.com to learn more about the services she offers. And, if you are ready for a winter detox (I know I am!) check out VedaWise’s week long “Ayurvedic Winter Cleanse” beginning on Monday, February 3rd. Learn more & sign up here! I will be participating in this cleanse, & cannot wait to share my experience in a future Wellness Wednesday post. Thank you so much for joining us today, Laura. It was an absolute honor & such a pleasure to feature you on Vegenista.